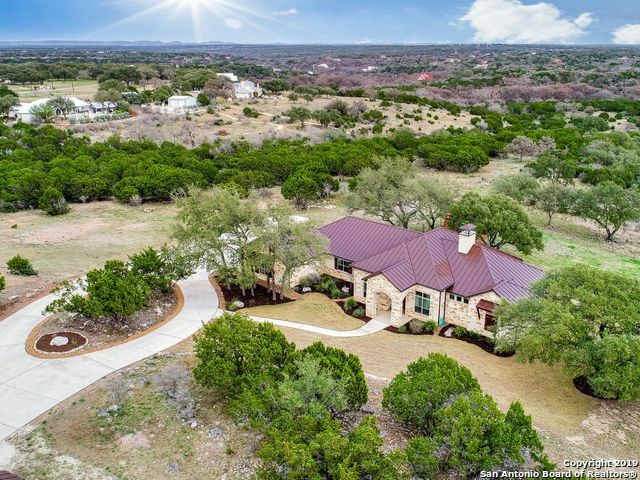 All River Mountain Ranch homes currently listed for sale in Boerne as of 04/18/2019 are shown below. You can change the search criteria at any time by pressing the 'Change Search' button below. "Spectacular Hill Country Haven. Sustainable Homes builder's personal home.Super efficient w/stding seam metal roof, 40,000 gal rainwater system. Master craftsmanship. Distinctive ceilings, moldings, stone & wood. Serene Master suite. Gourmet kitchen. RV covered parking. 3400sf Wksp offers multiple possibilities! *See Asso Docs. Outdoor kitchen,deer proof irrigated garden,dog run. 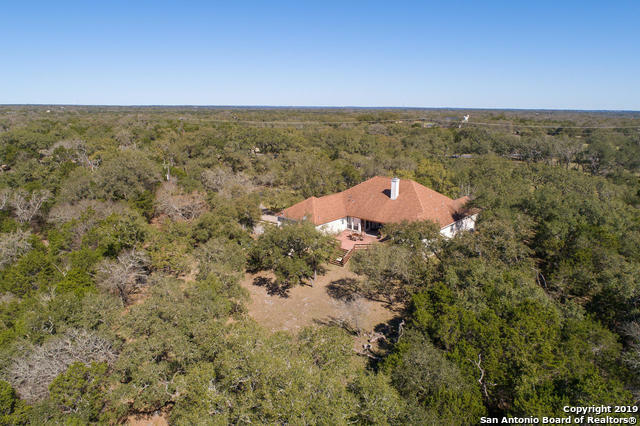 Gated, fenced, irrigated - 5 ac of park-like lifestyle. Enjoy HOA Private access to 3 parks on the Guadelupe River!" "Very inviting home on 5 acres. 4153 sq. ft. 4 bedroom/5 bath/3 living/4.5 car garage. Blind for viewing animals and club house on back of property. Large covered patio w/fireplace and outdoor kitchen. Gazebo w/hot tub. Builders home and he had done updating on many items in the home. Completely repainted. Garage flooring freshly painted. 5000 gal. water well holding tank. Fencing on 3 sides w/rail fencing in front. 2 refrigerators remain, shutters w/blinds in some bedrooms, front windows t"
"Your Hill Country Retreat... Inviting Custom Home on 6.75 acres with Quiet private setting at the end of cul de sac.Enter to see long hill country views.Open concept wi Gourmet Style Kitchen,massive island,stainless appliances that adjoins Family Room.Split Master, wi walk-in shower,garden tub &WIC.Guest suite wi 2 other good-size bedrooms. 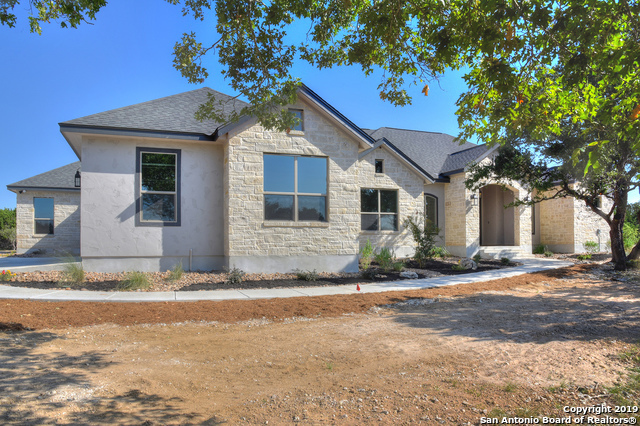 Enjoy the outdoor living & kitchen area.Backs to bluff @Spring Creek.3 Neighborhood Parks 2 Guadalupe River Parks & 1 Spring Creek Parks Available to see sta"
"Home scheduled to be completed by the first part of July. 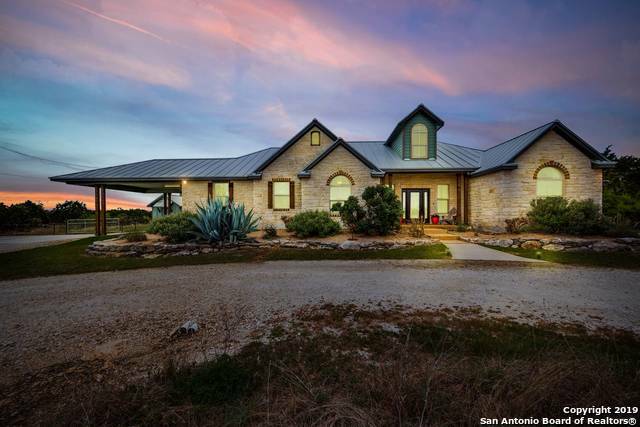 5 Acres, 3487 square feet, 4 bedroom, 4.5 half baths, 3 car garage. Concrete driveway, stained porches. Bosch appliance package, 100% wood look tile throughout. Custom white cabinets, granite countertops, farm sink in kitchen, tile showers, irrigated landscape package, rock stucco, hardie siding in rear, 2 fireplaces, 2 water heaters, techshield roof decking, 8 Foot Knotty alder front door, eggshell paint on walls, aerobis septic, wat"
"Stunning Hill Country Mediterranean on Private 6+ Acres. Fabulous Floor Plan 4600 sf of Entertainer's Delight! Long Range Views. 3B + Study. Scored Concrete Floors, High Ceilings, Hand Scraped Wood Stairwell, 2 Wet bars, Chef's Kitchen w/Island, Granite Counters, Large Secondary Bedrooms, Open Floor plan, Study & Master down-Spa Bath, Game Room, Media Room & Exercise Rm. 3 Car Garage + 3-car Port Cochre. Spa, Shop, Horses, Guadalupe River-Boerne ISD. Listed less than Appraised value of $722,000." "Wonderful 3 BR Ranch style home plus 1 bedroom 1000 SF guest home on 3.34 acres of flat usable land in River Mountain Ranch. Sits at front of neighborhood w stock tank from original Ranch. 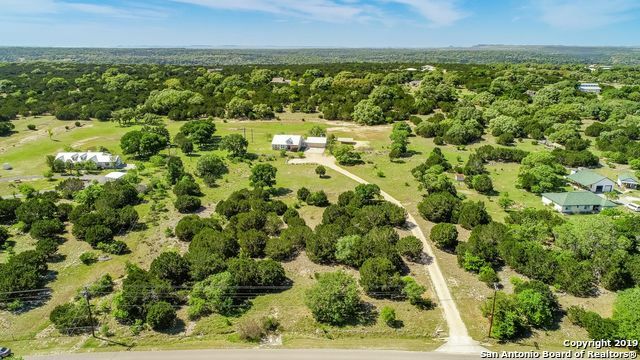 Property is fenced & includes a sports court w adjustable basketball goal, 50 amp RV hookup, natural deer resistant landscaping, & allows for bow hunting. There is power for a future barn or shop. Main home has approx 2837 SF. Central vacuum in main & guest homes. Wood burning FP in living room. 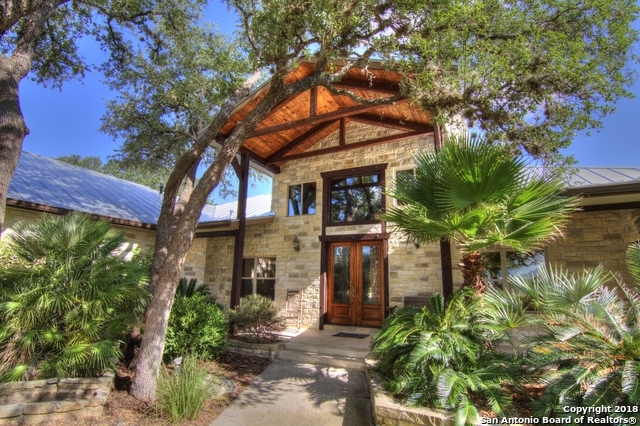 3 private riv"
"Custom hill country beauty on 5 acres in Boerne school district. 4 bedrooms, 3.5 bath plus TWO metal barns/shop. 1800 sf enclosed and 1500 sf. Front and back patios with beautiful landscaping. Custom built ins, soaring ceiling, amazing natural light, custom cabinets, and granite countertops. Master suite is downstairs with entry to the backporch, perfect for taking in the beautiful sunsets. Enjoy access to the Guadalupe river and plenty of room for animals. The perfect set-up. 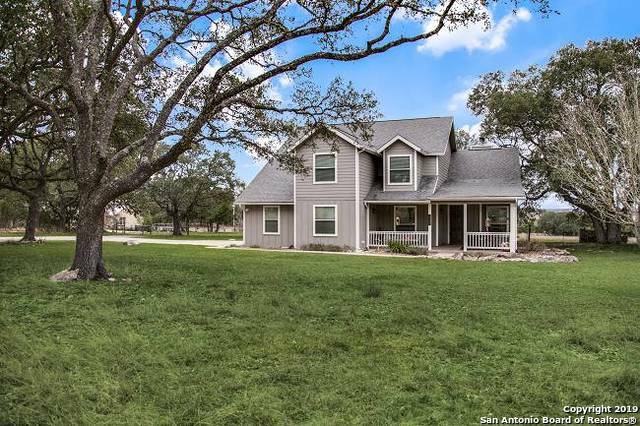 Hidden safe room i"
"Gorgeous 4 bedroom, 3.5 bath home on over 5 acres that is crossed fenced. Features include updated flooring through out and new granite in the kitchen. New roof-2016. Lots of space for entertaining inside and out with a screened in porch, family game room, and much more. Beautiful private neighborhood parks with river access make this a must see property." "4 Bedroom 1 Story with Beautiful Views in River Mountain Ranch. 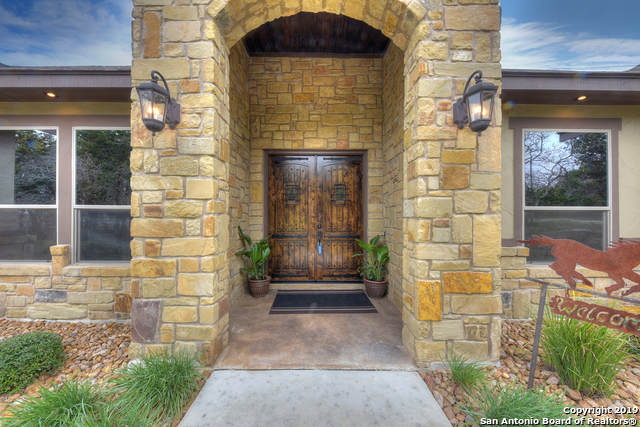 Open floor plan with hardwood flooring throughout living & dining areas, 10 ft ceilings, floor to ceiling Llano stone fireplace. Kitchen offers Granite counters, lots of custom cabinets, & gas cooking. Amazing Frameless walk in glass shower, and garden jacuzzi tub in master. Enclosed porch & wood deck with xeriscaped fenced yard. 2 Car Oversized Garage w/stairway to storage above garage. Guadalupe River access, Horses allowed. Boer"
"3 Guadalupe River Parks: Canoe, Swim, Fish or just relax. Private access provides endless summer fun for owners and guest. 5.68 acres wrap this 3 bed, 2 bath w/fireplace, dinning, enclosed breezeway w/dog door, fenced back yard, expanded outdoor patio with pergola, 3 stall garage, carport cover, storage building. Area in the back for horses (up to 6), barn and small arena (not built). Fresh paint, new carpet and is ready to go. Usable lot for multiple cars or towing a trailer. Google: River Mou"